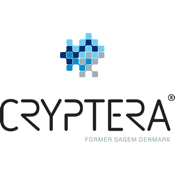 Cryptera is is a world-leading provider of secure payment solutions and supplies some of the largest global manufacturers of ATMs and petrol pumps. With more than 1,000,000 payment solutions in use across the globe, Cryptera has proven and tested international experience within the global payment industry and has more than 25 years experience in providing high-security payment solutions. Our main products are Encrypting PIN pads and Unattended Payment Solutions.